A case of infatuation . 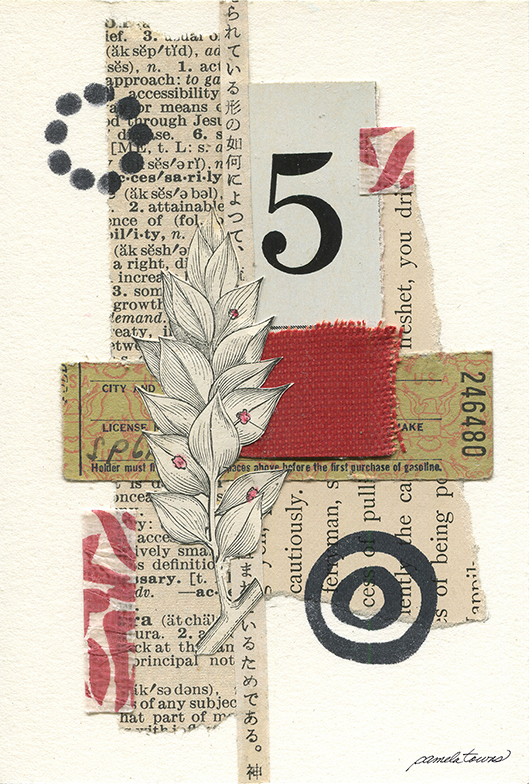 . .
Mixed-media collage with vintage papers, printed papers, fabric, ink and plastic. It’s “A New Dawn” . . . and so they began. 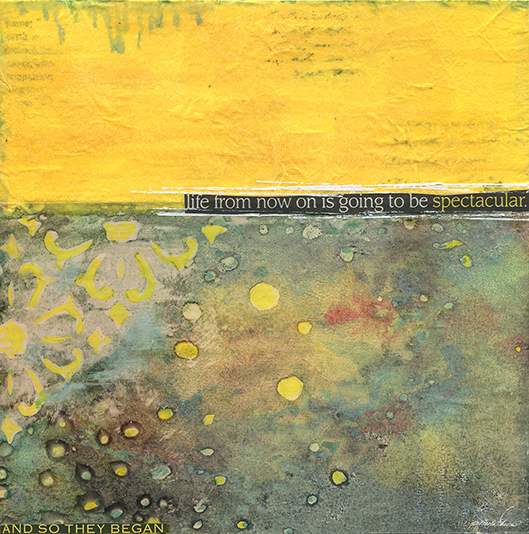 Mixed-media abstract inspirational collage with altered papers, paint, ink and paper. Mixed-media abstract collage from found papers, art paper, ink and book cover. 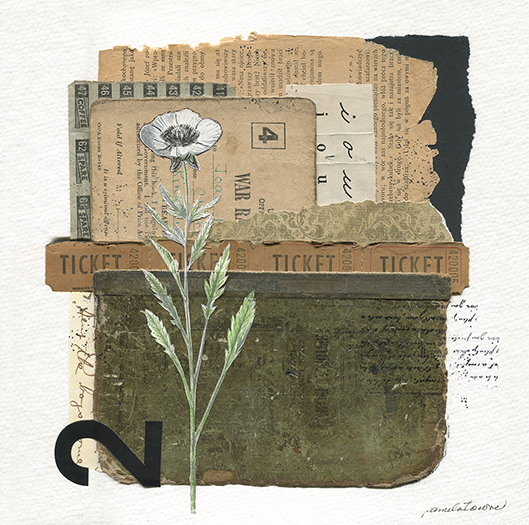 “Reciprocity” is a mixed-media collage on paper with old found papers, ephemera, book pages, wall paper and a book cover. 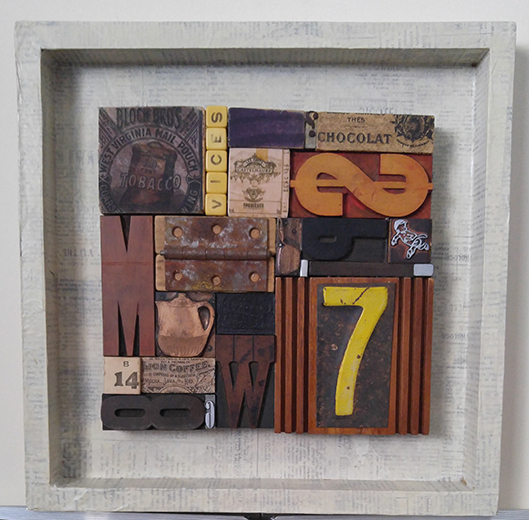 Three-dimensional mixed-media collage/assemblage with blocks, vintage type, found objects, metal, paper and stone. 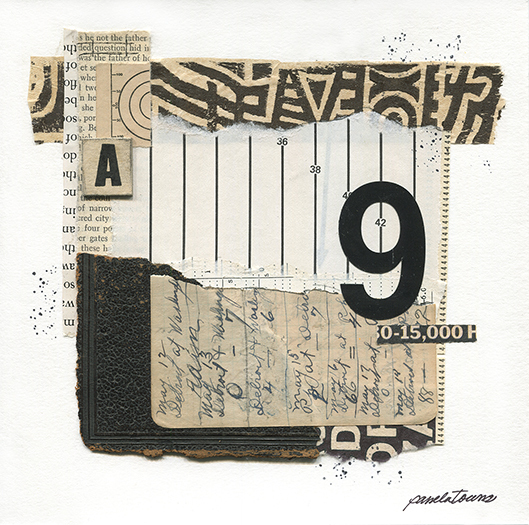 Mixed-media collage on artboard with found papers, ink and a postage stamp. 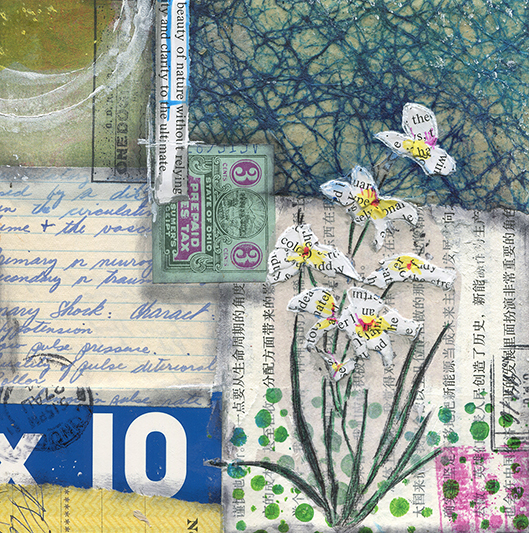 Mixed-media collage on artboard with vintage papers, book skins, handmade paper and book pages. 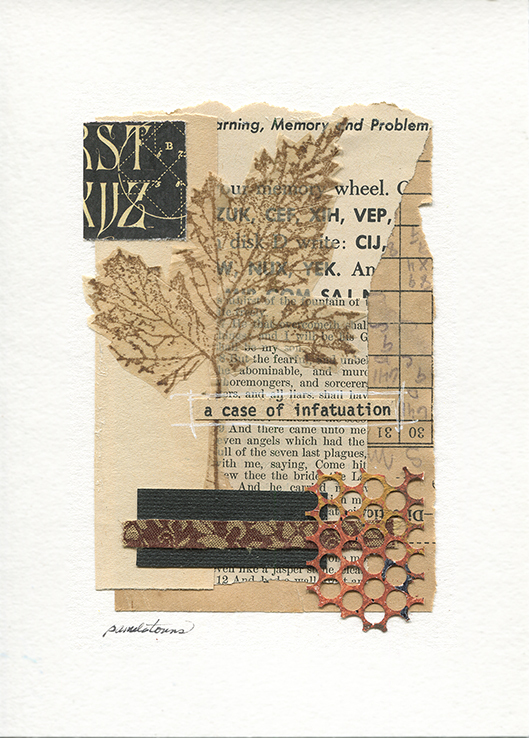 “Revival” is a mixed-media collage with old found papers, ephemera, handmade papers and book pages. Available in art prints and greeting card. 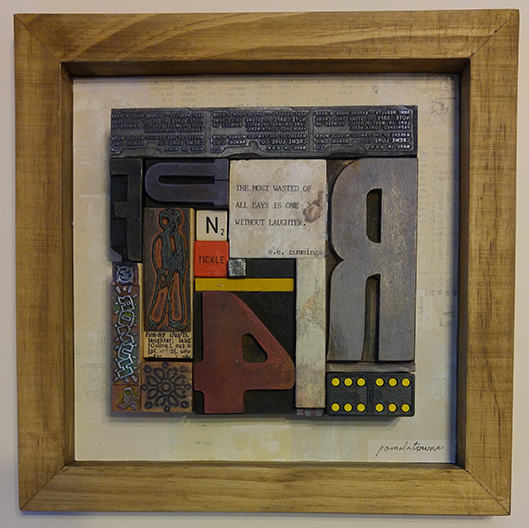 Set of 3 mixed-media collages created to highlight three words taken out of context from a found manuscript. 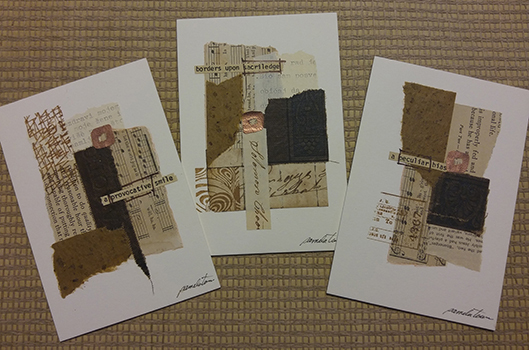 These paper collages were constructed with vintage papers, handmade paper, book skins and stamped ink.